Drivers in Ontario must, by law, have their vehicles pass a regulated emissions test in order to operate that vehicle legally. Pollution is a growing concern world wide, and the noxious emissions expelled by motor vehicles are a large contributor. Emission laws in Ontario have been put in place to inhibit and reduce pollution on a global scale. Provincial emissions laws are based on national and international regulations and standards of a similar nature. Car and engine manufacturers are also subject to certain restrictions at the design stage, to reduce the harmful emissions their vehicles will produce. However, not all manufacturers adhere to these specifications inspiring the need for regular emissions tests. There are many pollutants that fall under thesetwo categories, causing air pollution from automobile waste. Hydrocarbons combine with nitrogen oxide to form smog. These pollutants can cause respiratory issues and decreased lung capacity. Carbon Monoxide is produced when fossil fuels like gasoline are burned for fuel. This poisonous gas has no color or smell, making it even more dangerous. It can prevent oxygen from getting to the brain and other organs. This is a pollutant typically derived from the burning of sulphur-based fuels like diesel. It can be especially harmful to those with fragile lungs like people with asthma and small children. Nitrogen oxides are a by-product of engine combustion. They are lung irritants, diminishing the body’s capacity to fight respiratory infection. There are couple different types of emissions produced by motor vehicles that are categorized by when and how hey are produced. 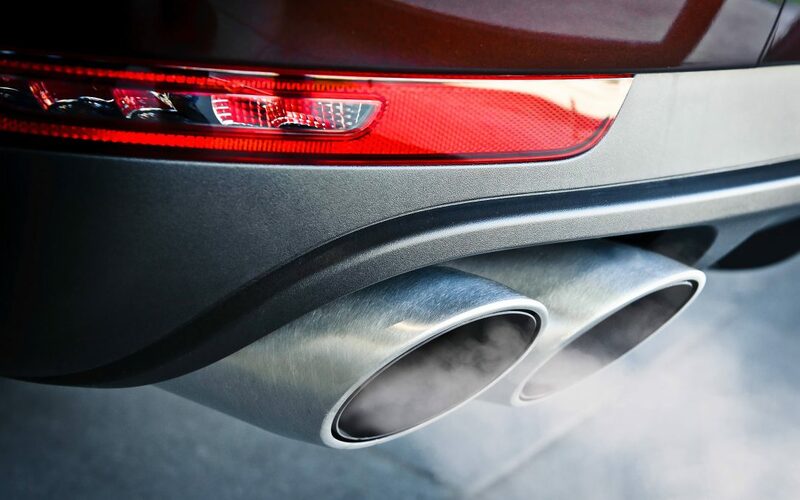 Exhaust emissions are caused directly by engine operation and fuel combustion. They produce Volatile Organic Compounds (VOCs). These are emitted in the form of gases like carbon dioxide, hydrocarbons, and nitrogen oxides. Evaporative Emissionscan be released when your vehicle is stationary an not even in operation. Evaporative emissions also involve the release of harmful VOCs into the atmosphere. If you are in need of an emissions test for your vehicle in the Brampton area, Valvoline Express Care is certified by the Ontario Ministry of Transport and the Ministry of Environment and Climate Change to perform official emissions tests. The professional automotive technicians at Valvoline Express Care have been performing emissions tests for years, refining the process to be as efficient as possible. Get your drive clean test done quickly and effectively, while earning rewards points for discounts on other Valvoline services.